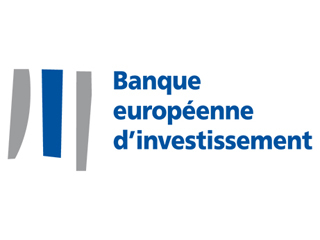 As the IT Banking Systems Officer - Swift and Back-Office (internally referred to as Analyst IT Applications) you will maintain and contribute to the further development of several IT systems used in the lending and treasury back-office business domains at the EIB: the SWIFT messaging platform, the Accurate financial reconciliation system and the WSS Commercial Lending Module (WSS-CLM). As the IT Banking Systems Officer you will report to the Head of Back-office Loans, Payments and Settlements Unit. Internally, you will work closely with members of the team within the unit and the division, as well as the IT Security, IT Architecture and IT Integration teams. You will cooperate regularly with counterparties from the Finance Directorate especially with key users in the business services, notably in Back-Office Treasury, Borrowings and Lending. Externally, you will deal with software vendors, providers of outsourced services, peer groups) in the financial back-office area in order to optimise service levels and to stay abreast of industry standards. Provide quick solutions for incidents in production and proactively preventing operational incidents. Strong interest in the status and recent trends and market initiatives in the area of high-volume payments and/or treasury or lending products and willingness to acquire practical business knowledge. Professional experience working with payment, treasury management, or core banking software, such as Swift, WallStreet Systems, Misys, FIS/Sungard, Summit, Calypso, Temenos, Olympic, Murex, FrontArena, Sophis is a plus. Excellent command of English. Knowledge of French (*) would be an advantage.